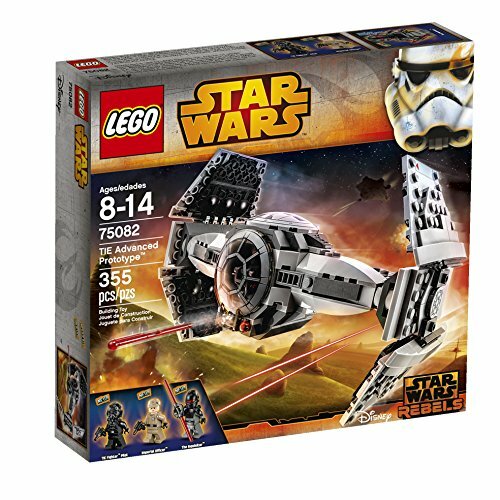 Whether you are an adult with an affinity for LEGOS or are buying a gift for a young child looking for a unique building toy that they can play with time and time again, LEGO kits can be quite expensive. 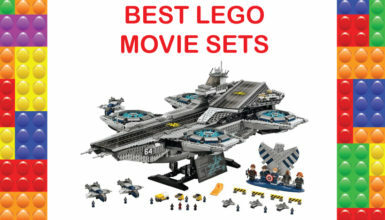 If you know where to look though, you can get movie, show, and game-themed lego kits for all ages, big or small, and simple to very detailed for less than most kits out there. 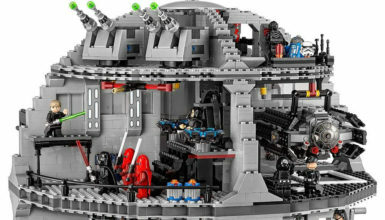 Here are 10 LEGO kits that you can get for under 100 dollars, a few of them being hard-to-find collectibles. 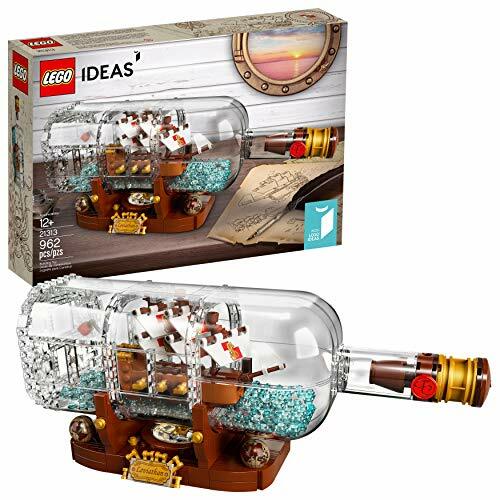 A twist on the original concept, this LEGO ship in a bottle is one of the more unique and popular choices if you are on a budget and looking for something cool and unique to build. The stand holding the bottle has just as much detail as the ship, especially with its decorated name plaque, and bottle that you can proudly display the build nearly anywhere. That being said, you may want to be careful about where you display it because of how fragile it is. The bottle is easily susceptible to scratches and breaking apart, but as long as it is put somewhere that nothing can knock it over, it should be looking like new for a long while. 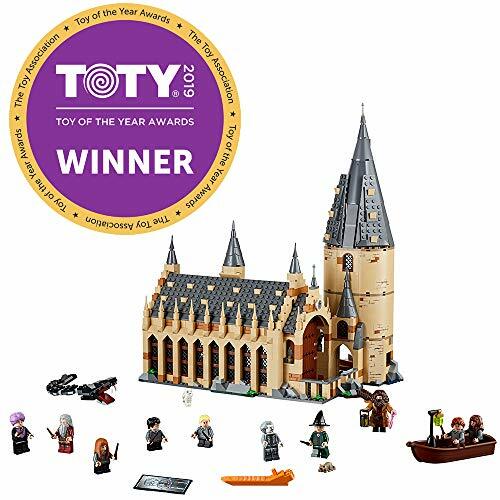 Whether you are an avid Harry Potter fan or a large LEGO collector, this is another highly-detailed kit that people of all ages can enjoy looking at. It comes with 10 of the main and supportive characters, the grand hall and tower, several magical creatures, a boat with a lantern, and more. The only downsides to this kit are that the character’s legs do not bend as other LEGO characters can. 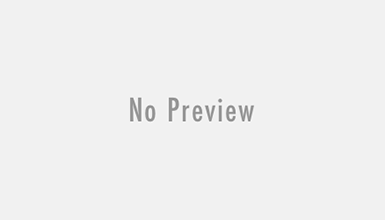 Despite this, and the fact that the kit is just below the 100 dollar mark, there are really no other factors that may deter you from buying this kit for you or a loved one and assembling it together. 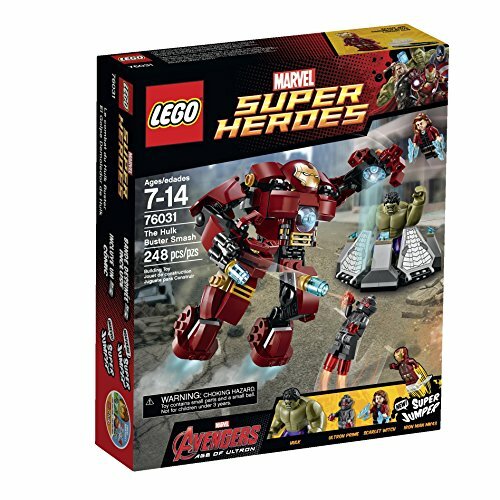 Growing in popularity with all of the Marvel movies that are coming out one after the other, this kit is can be for kid or adult Marvel fans. 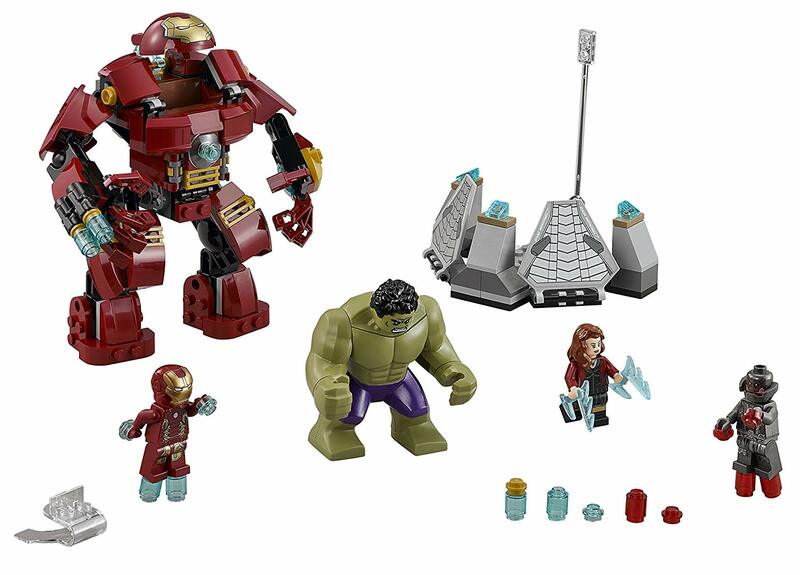 Along with the Hulk Buster suit, it comes with Iron Man, the Hulk, Scarlet Witch, and Ultron along with small ‘thruster’ pieces that can go under Iron Man’s and Ultron’s feet and more. This one can be a little hit and miss, mainly because of the colors and the quality of the design on the characters. In person, the Iron Man piece looks a different shade of red and kind of a like a dark pink in certain lighting, and the Hulk has a similar design flaw with his purple shorts. Other than that, this is a nice inclusive set from the Avengers Age of Ultron movie, if you do not mind design accuracy. 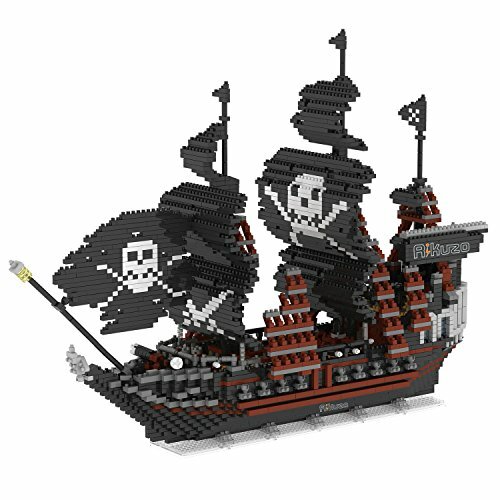 Possibly the most time consuming and complex build of all of these on this list, this is also one of the most detailed and designed kits out there of the Black Pearl from the Pirates of the Caribbean movie. It is also the only nano micro block sets that made this list, mainly because most nano sets are over 100 dollars. 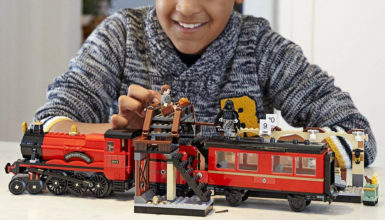 It isn’t exactly meant for children or people who have not used LEGO kits before because this can take even the most experienced builders hours to assemble. That, and the directions are not like the kits for kids with step by step instructions. Beyond that, there are not really any other negative features that this kit has. 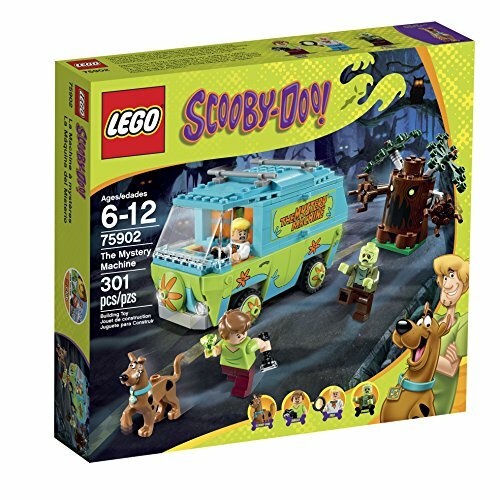 Definitely more suitable for young children who are either just getting into LEGOs or who love anything Scooby-Doo, this kit includes several character pieces, accessories, and a haunted tree. Of course, it also comes with the Mystery Machine that, when assembled, can also roll around on its wheels and open up for an internal view. Even though it is a simple kid’s kit, the price is nearly doubled the original sticker value and is harder to find because of the fact that it is a collectible. Because of this, if you want it to keep its value, you probably shouldn’t let children play with it and keep it in a protected case to prevent damage. This TIE fighter from Star Wars: Rebels, the animated series, comes with a functioning cockpit door, foldable wings, and two spring-loaded shooters for the front guns along with extra ammunition. It also comes with three characters, the fighter pilot, an imperial officer, and the Inquisitor, each with their own weapon in hand. The missile launching system is a little flawed since the laser pieces do not stay in easily, falling out often. That, and it is a little stiff to fold the TIE fighter up to its non-flight mode. Otherwise, the design is pretty accurate and detailed. Another child-targeted kit, this is a nice transitional kit for beginners to intermediate builders. That, and thanks to the Angry Birds movie and game, many children love these crazy and cute characters. A few of them like Red, Bomb, Pirate Pig, and Leonard come with the ship along with some accessories like food, tools, and more. Many parents argue that it is overpriced when considering what the kit comes with and the fact that many other kits with a price like this come with a lot more. There are also several very small, loose pieces that should not be left out if there are younger children around because they are a choking hazard. Another Harry Potter kit, this one is themed around the prequel series from the movie Fantastic Beasts and Where To Find Them. 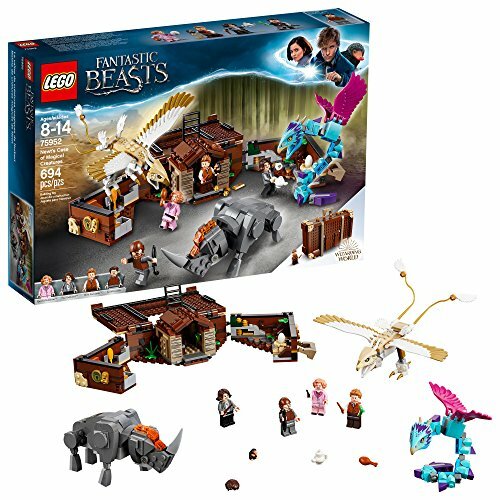 It comes with four of the characters, several beasts, a foldable suitcase, and several accessories. 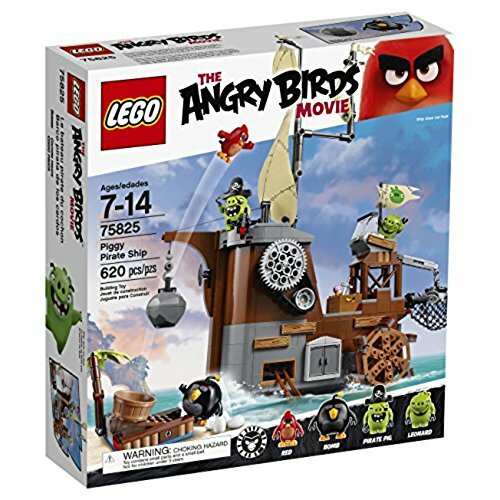 Like the Angry Birds Pirate Ship, this is a good transitional kit for young kids who are ready to become Intermediate builders. Even though this is one of the cheaper kits, it is also relatively smaller than some of the other ones. While the characters have detail on them from the print, the rest of the kit does not, except for the beasts. One of the more detailed kits that are smaller than average, this Nether Portal Minecraft kit comes with more than some of the other kits. 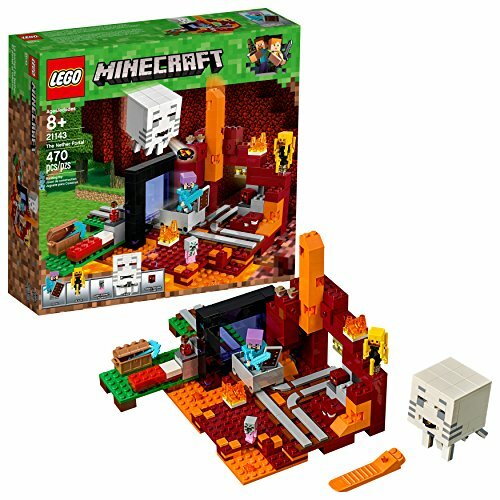 It comes with nearly every Nether mob like the Blaze, a baby Zombie Pigman, a small magma cube, and a Ghast with a fully functioning, fire-shooting mount that shoots discs with the flick of a switch. It also has Steve dressed in diamond armor, an enchanted helmet, a diamond sword, and a shield along with the general landscape. Older kids would usually rather play the video game than play with the legos, but it can be a nice decorative piece for all of the Minecraft lovers out there. 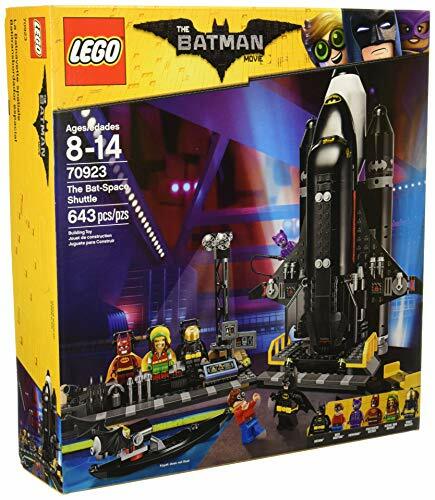 Sort-of an all in one Batman kit that comes with 6 characters from the LEGO Batman movie, the Bat shuttle, Bat-Kayak, and more. The shuttle also has a triple-booster pack, 4 stud shooters, and a rear compartment that opens up for the Bat-Moon Buggy. Functionally, there seem to be no problems with the entire kit. Everything moves, opens, and unclips properly. The only issue it has is that some of the pieces are a little small and easily losable if they are being played with by children frequently.